VN FORWARDING AND TRADING was established on 2013 November at Ho Chi Minh city ,Vietnam by idea of two close friends who want to bring an excellent logistics services to customer. As a new comer in the industry, VNFT doesn’t target to be leader in market, but focus on customer’s satisfaction and development stably. Prestige is always a first priority of VNFT. And this is our core value. We always effort to keep commitment with customers “do as say”. VNFT Group Registered with Customs Broker. VNFT Group is a one of the leading Logistics company in Vietnam who have many experience years in forwarder & Logistics management, project cargo and Breakbulk cargo handling. VNFT Group have large relationship with many carriers and airlines, ownership. Come to VNFT Group, you will receive all deeply support from our employees with much experience in logistics areas, the competitive price along with the good service and professional forwarding agencies from 117 agent forwarding worldwide. 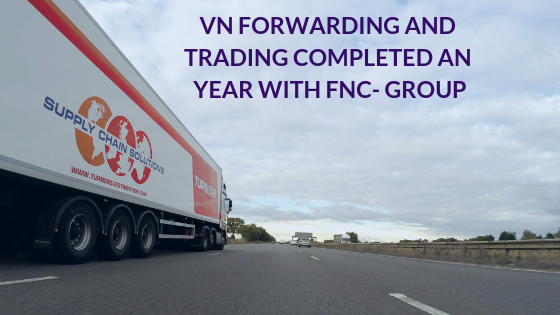 VNFT Group Joined FNC- Group at march 2018. Mr.Khanh (Richard) Nguyen is the Key Contact person.